You may not know them, but these four people left their comfort zones so that they could change lives. In this day and age when bad news saturates the news media and internet, we forget that there are many great heroes who have lived before us and are among us. The following four people I will be talking about may have been people you have never heard of. Nonetheless, the sacrifices they made are incredibly significant and worthy of our examination and thoughtful reflection. More than 1,600 years ago, St. Telemachus was an elderly monk who lived in a remote monastery far off in the East. Though he lived comfortably within the confines of that monastery, he one day felt called to leave the monastery to Rome. Upon his arrival, he saw crowds of people rushing to gather in the Colosseum. Not knowing what the excitement was all about, he followed the crowd into the Colosseum, where he witnessed two gladiators fighting to the death. He could not believe that thousands of people could find enjoyment in such cruel bloodshed, so he rushed down to the arena and stood between the gladiators, commanding them to stop in the name of Christ. The gladiators were bewildered and stopped, but the crowd stood up in anger and stoned St. Telemachus for interrupting their entertainment. When the crowd realized that the old monk was dead, they were convicted of guilt for killing an innocent man, and one by one, they left the Colosseum silently. 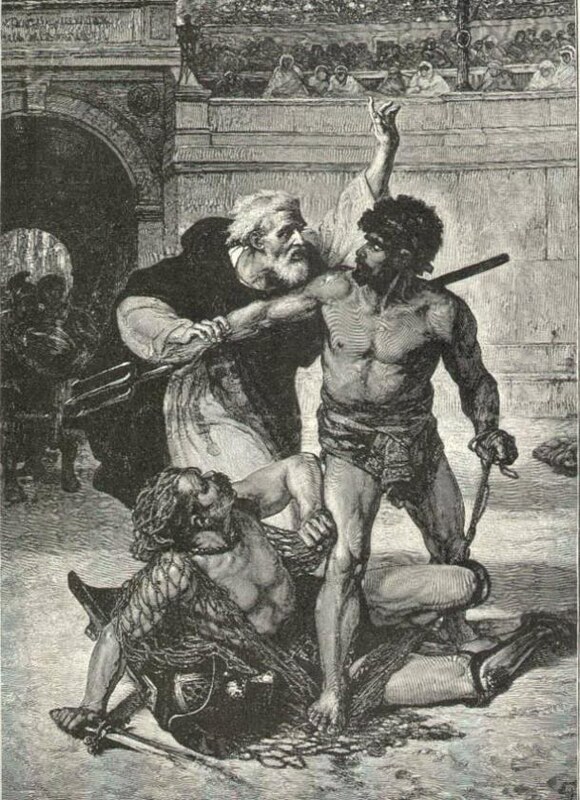 After Emperor Honorius heard of Telemachus’ heroic act, he ended gladiatorial games once and for all, and Telemachus was named a saint for standing up and helping to put an end to a cruel form of entertainment that had existed in Rome for hundreds of years. 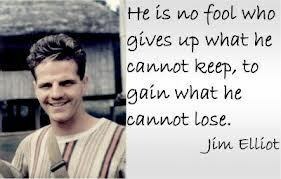 Jim Elliot, born in 1927, was from Oregon and grew up under pretty ordinary circumstances -- he went to high school, a four-year university, and was very involved on campus as well as known for being a great public speaker. After college, he and his five best friends were inspired to reach out to the Huaorani people of Ecuador. These people lived deep in the jungles and had zero contact with the outside world. They were known as the cruelest and most violent of the tribes in that area. Elliot wanted to reach out to this particular tribe because he had heard that most of them were not living to be older than 30 since they all eventually killed each other. Elliot and his family left the comfort of their American home, and together with their friends, they studied the Huaorani language and spent months locating their tribe and giving them gifts, hoping to gain their trust. At first, the tribe responded well to Elliot and his friends, but in a sudden turn of events, they took spears and killed Elliot and all five of his friends. Though Elliot and his friends were armed with guns, they did not shoot any of the tribe members. The wives and children of Elliot and his friends remained with the tribe, and the Huaorani people were so awe-struck by their forgiveness, and the fact that Elliot and his friends did not shoot and kill them, that they all became Christians. They also all gave up the tradition of “spearing” their family members, and now, they travel around America to share the incredible story of how undeserved love changed their lives. 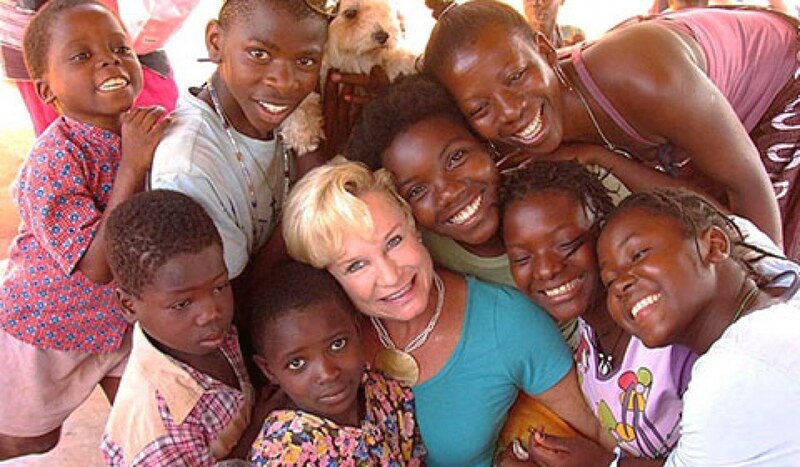 Heidi Baker grew up in an affluent Laguna Beach home in Southern California, but when she was 17, she dedicated her life to Christ. Since then, she and her husband have traveled all throughout Southeast Asia and England to feed the hungry, love the homeless, and help those addicted to drugs and other forms of abuse. She now is living in Mozambique, Africa, and has become known as “Mama Heidi” because of the thousands of children living there whom she had fed, cared for, and housed, since most of them had lost their parents to AIDS or the war. Heidi gave up everything she had ever known and had for these children. She even recounts a time when someone offered her orange juice and she cried because she realized she had not had a cup of orange juice to drink in three years. She could never afford it because she always gave up what she had for the people of Mozambique. 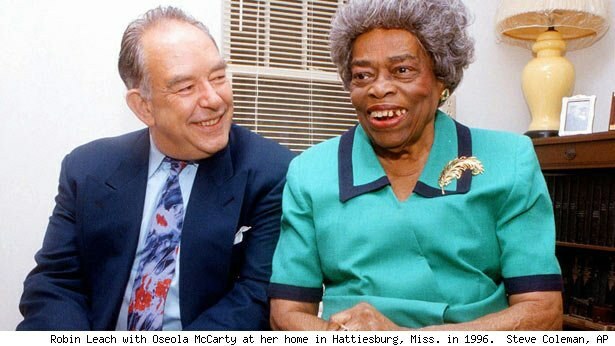 Miss Oseola McCarty was was African American who quit school in the sixth grade and was a washerwoman her entire life. Though she made minimal pay, she was determined to spend almost nothing on herself, and by the end of her life in 1999, she had saved $150,000, and she donated all of it to the University of Southern Mississippi. She did not want a building named after her or a statue in her honor -- all she wanted was to be able to attend the graduation of a student there who was able to graduate from the University because of her donation. Because of her humble sacrifice, she has helped countless lives obtain the undergraduate education that she never had. Who are the unsung heroes in your life, who went out of their comfort zones to pour into your life? You weren’t meant to be a close-lidded bottle, containing all the love that’s been poured into you. You were meant to pour into others. Receiving is great, but it cannot compare to satisfaction of giving to someone else! Many times, pouring into others means going out of your comfort zone. It’s not about loving the lovable, befriending the likable, standing up when everyone is with you, or giving when you have extra. Being an unsung hero is about loving the unlovable, befriending the friendless, standing up when no one is for you, and giving when you have to sacrifice. But when you do, you change lives -- including your own. It takes going out of your comfort zone to do all of that. But going out of your comfort zone helps you to realize life is more fully lived when you forget your own discomfort, insecurities, and weaknesses, in order to go out and reach out. Anyone can be an unsung hero, including you. I can assure you, that when you leave that content and comfortable place in your life to love and give -- it won’t be easy at first -- but you’ll have some of the best moments of your life and you’ll meet some of the best people you’ll ever meet. Your life will have an impact on those you touch, and those people will be spurred on to give to others, and you may not have realized it, but you’ve just started a revolution that’s like a fire you can’t put out. Sometimes going out of your comfort zone can be something as simple as starting a conversation with someone sitting next to you -- someone who is completely different from you. They may really need a friend like you. But who knows, maybe you really need a friend like them. Discomfort is not easy in the beginning, but in the end, you stretch and grow as a person. By giving your life and your love, you become richer. It’s funny how that works, but it’s true.